Running of successful chama involves regular meetings. Thus, it is important that we have minutes taken. Minutes are a record of what went on at a meeting. They are a record of the decisions made at a meeting and can be very useful for future reference. Minutes can also be useful to settle disputes – did the chama vote to invest Kshs.50,000 or Kshs.150,000 on shares? It is important to note that the person taking minutes does not participate in the meeting. Thus the chama needs to pick on one person or the secretary to be in charge of taking the minutes. Now, that you know the importance of minutes in any chama meeting, here’s how to get it right. Prior to the meeting, get a copy of the agenda to make note taking easier. Sit beside the chairperson for convenient clarification or help as the meeting proceeds. Before you start, keep in mind that no matter what type of minutes you take, focus on capturing and communicating all important actions that took place. 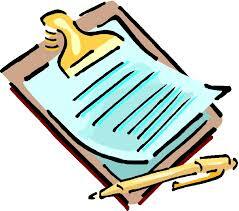 Write in a concise, accurate manner, taking care not to include any sort of subjective opinion. You do not need to record topics irrelevant to the business at hand. Taking minutes is not the same as taking dictation. Also, remember to record the date, time and place of the meeting and only include important information in the minutes such as what decisions were made, who made them, if they were seconded and the outcome of the vote. Don’t include the details of the debates. In the first paragraph, state the name of the Chama, the date and time of the meeting, where it was held, and who presided. Some chamas include a list of the members who attended. Also include a statement about the minutes from the last meeting – were they read and approved? If there are treasurers or other reports, include a brief summary. Here is an example. The regular meeting of the Gracious Mums Chama was called to order by Chairlady Sue Kamau at 2:30p.m. On Saturday, September 10, 2012, at the Java Cafe. The minutes from the previous meeting were read and approved. Jenny Otieno reported there is Kshs.100,000 in the Chama’s bank account. The second paragraph contains any old business such as a brief summary of chama reports and any other special reports or unfinished business. The third paragraph contains information about new business. This includes any motions that were made, who made the motions, if there was a second and the results of the voting. If new business was introduced or new committees formed, the information should be included in this paragraph. Here is an example of minutes for a motion. Betty Ndinda made a motion to donate Kshs.2,000 to the Social Committee to pay for a wedding gift for Mary Muta, a chama member. The motion was seconded. After much debate, the motion passed. The final paragraphs include any announcements that were made, the time of adjournment and any activities that followed such as cake and tea were served. Once the meeting is over, transcribe minutes immediately, when your memory of the event is still fresh. Consult only the chairperson not the attendees, if you have questions. Once you have finished typing the minutes, Write “Submitted by” at the bottom and then sign your name and the date. Afterwards, circulate a sheet of paper for attendees to sign. Then place minutes in a file for future reference.